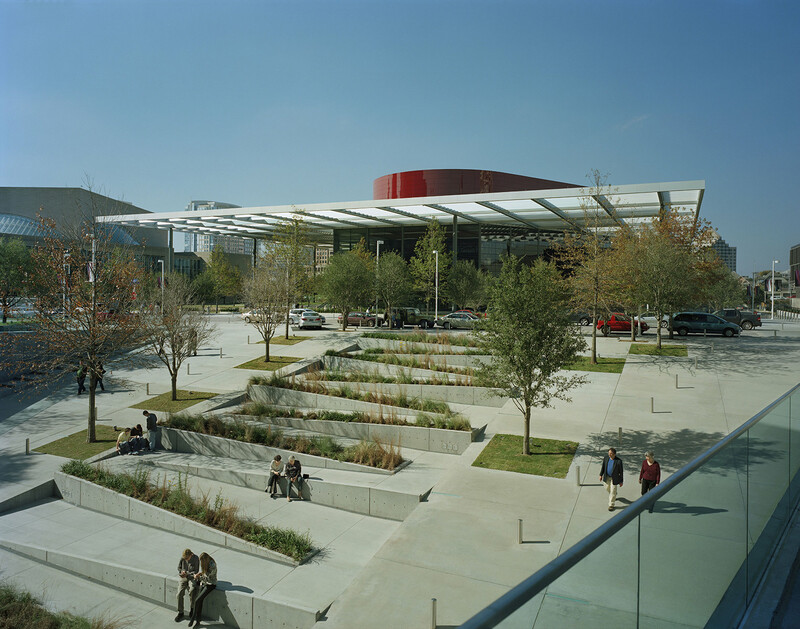 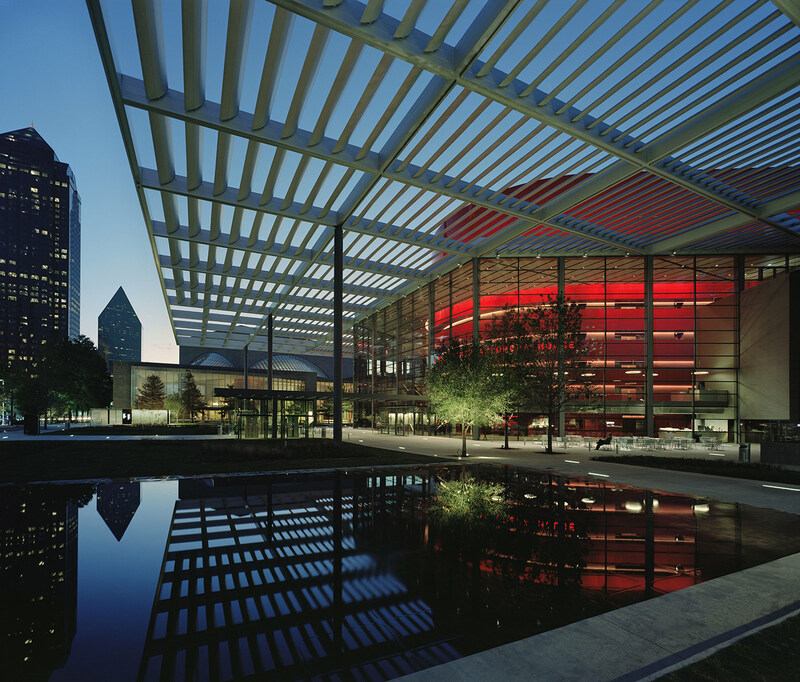 In the heart of the Dallas Arts District sits this modern reinterpretation of traditional horseshoe-shaped opera house seating. 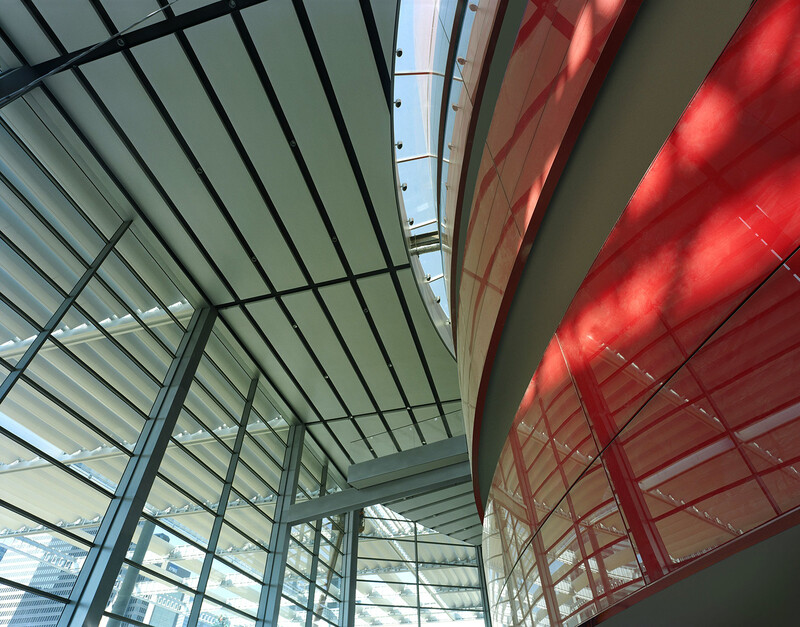 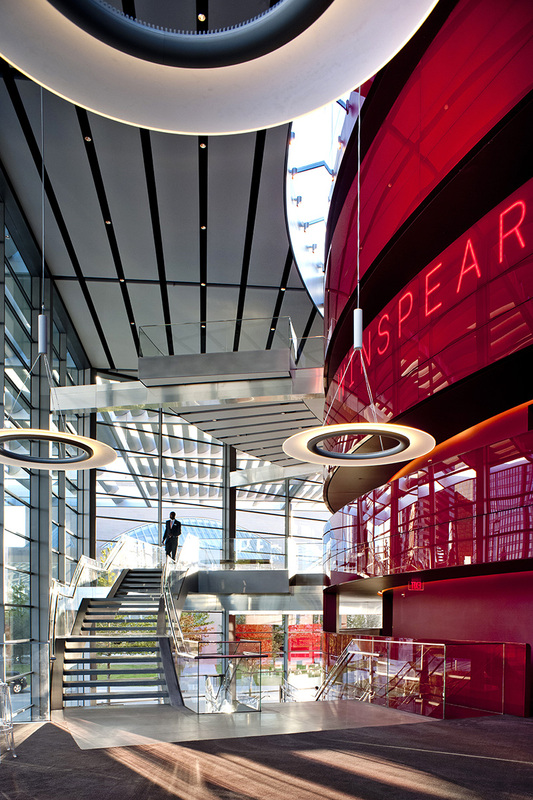 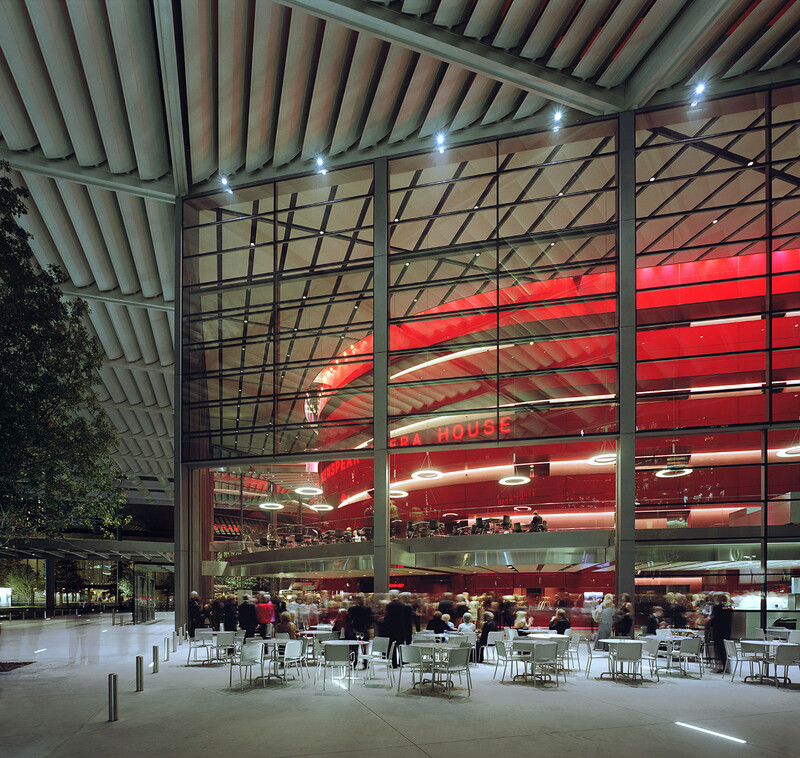 The distinctive curved shape and red color of the performance hall is placed on a bias within a square clear glass building enclosure. 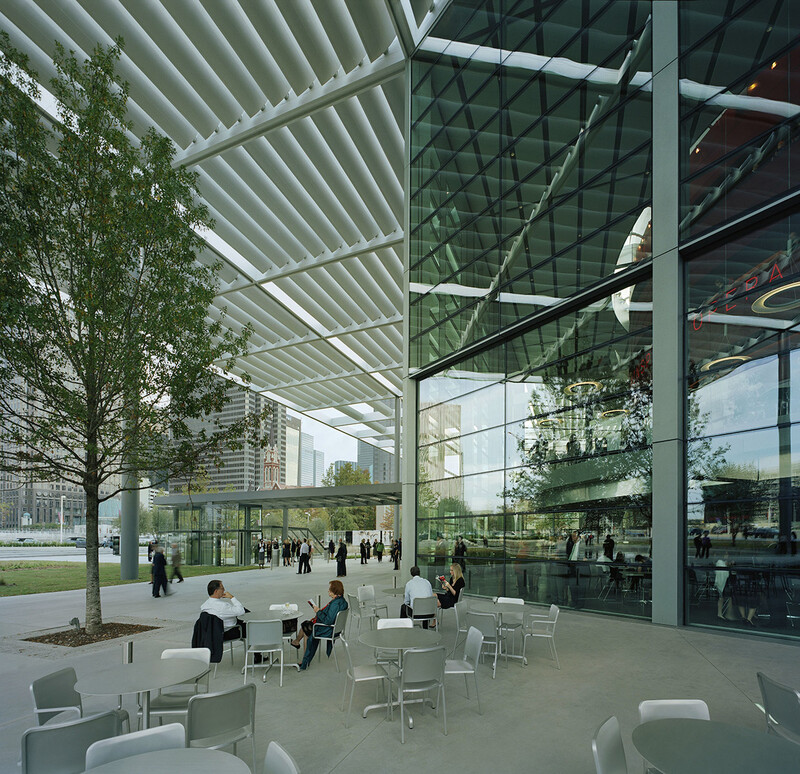 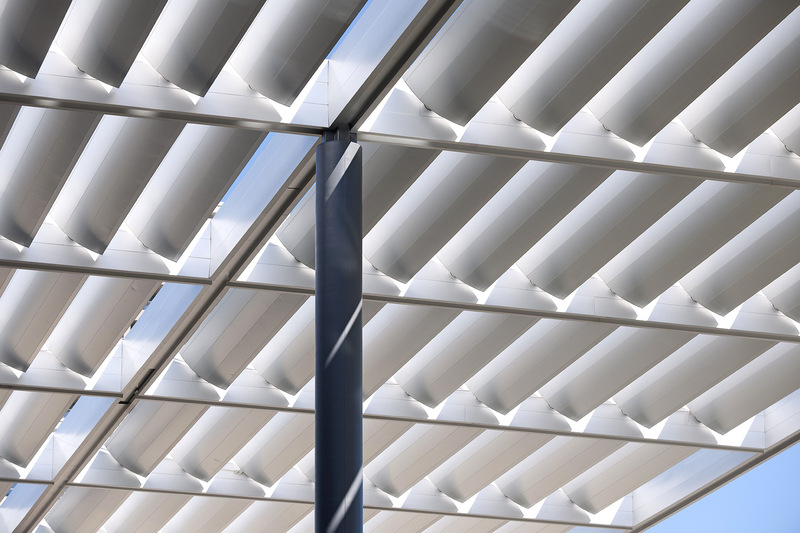 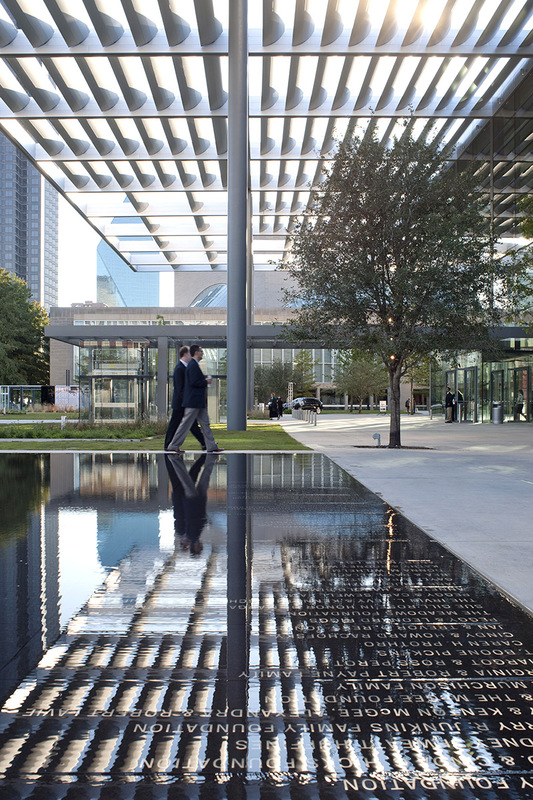 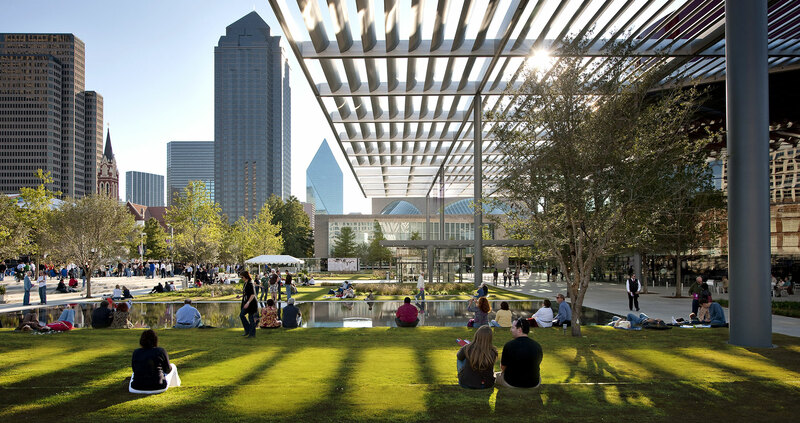 A high louvered canopy radiates from all sides of the building enclosure to create a Grand Portico that provides an inviting, shaded outdoor venue for public events, and a visual extension of the interior glass lobby. 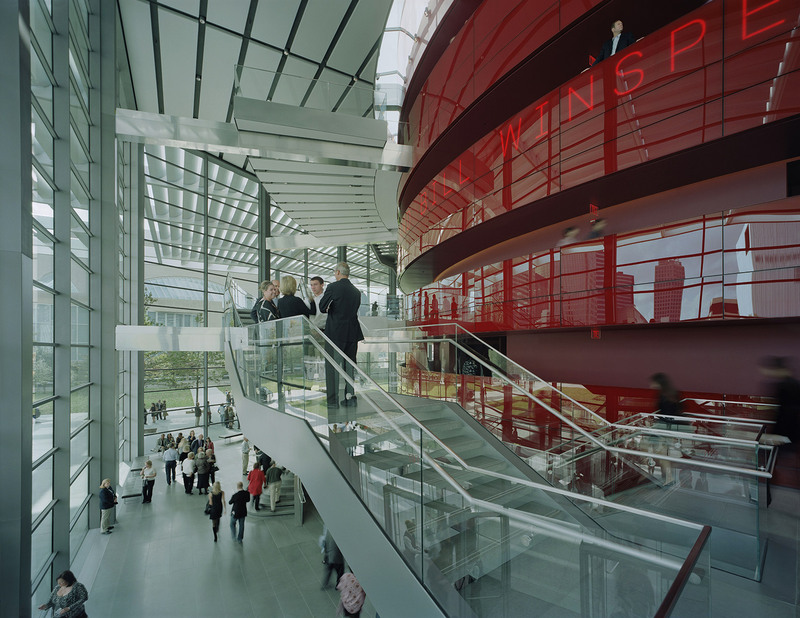 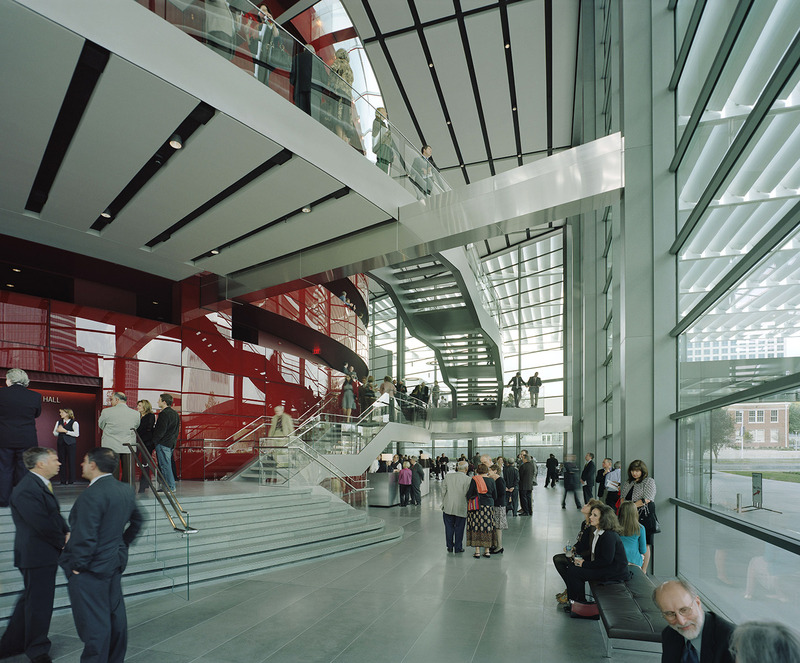 The principal performance hall seats 2,200 in a space engineered specifically for performances of opera and musical theater, with stages designed and equipped with appropriate flooring for performances of ballet and other forms of dance. 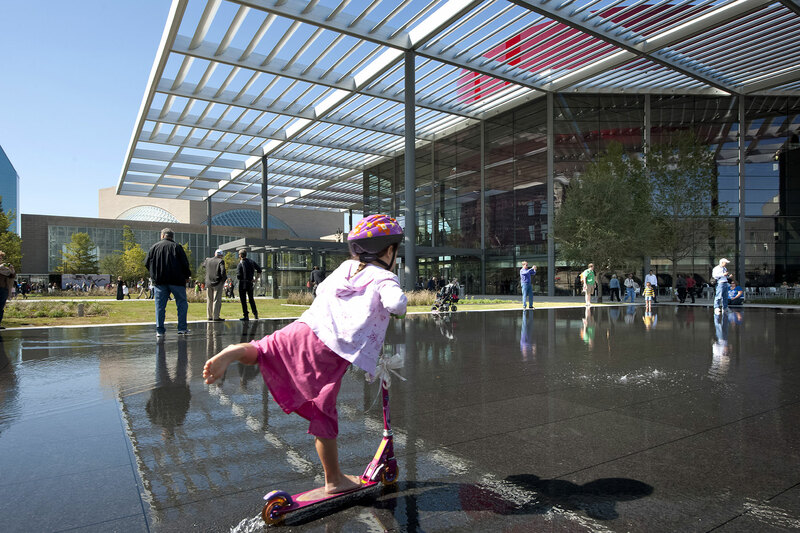 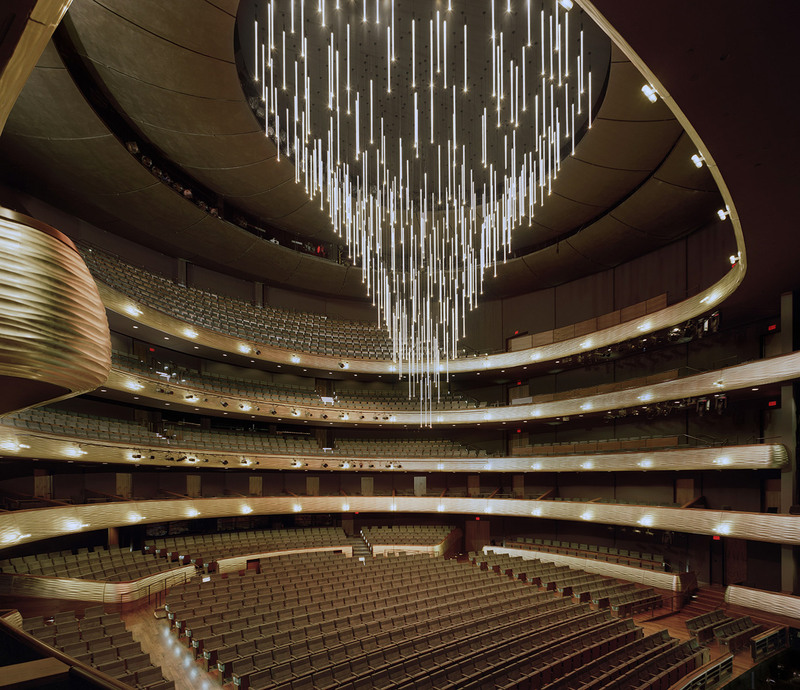 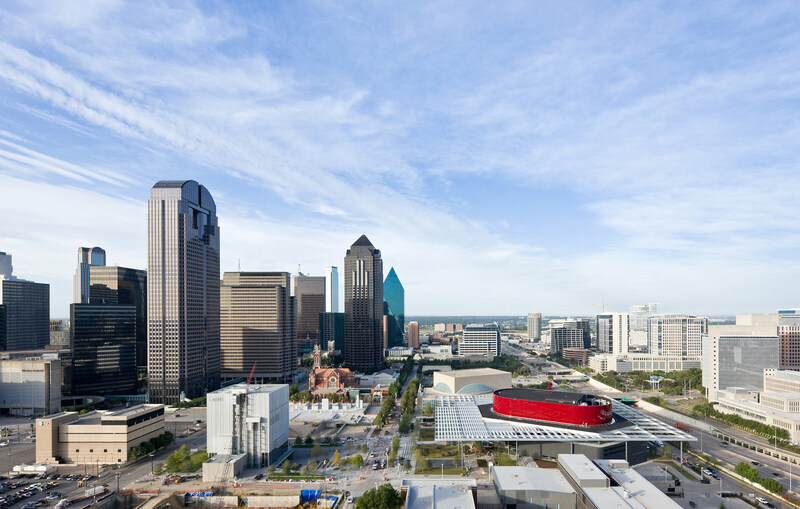 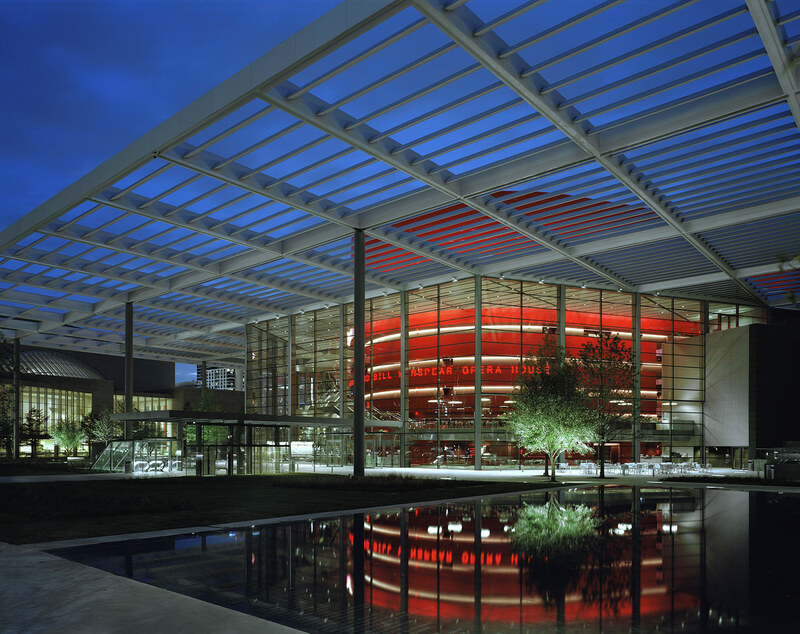 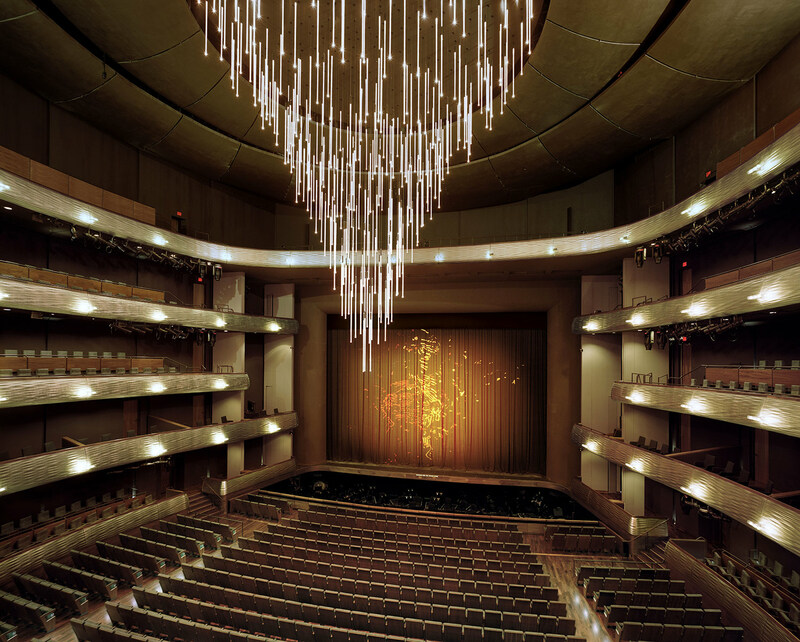 The facility also includes a smaller recital hall seating 200, rehearsal spaces and offices, consolidating all of Dallas Opera’s functions into a single, state-of-the art facility.